All paperwork and fees should already be submitted. If they are not, please review these FORMS and submit all necessary paperwork/fees. Read the ENTIRE PACKET!!! 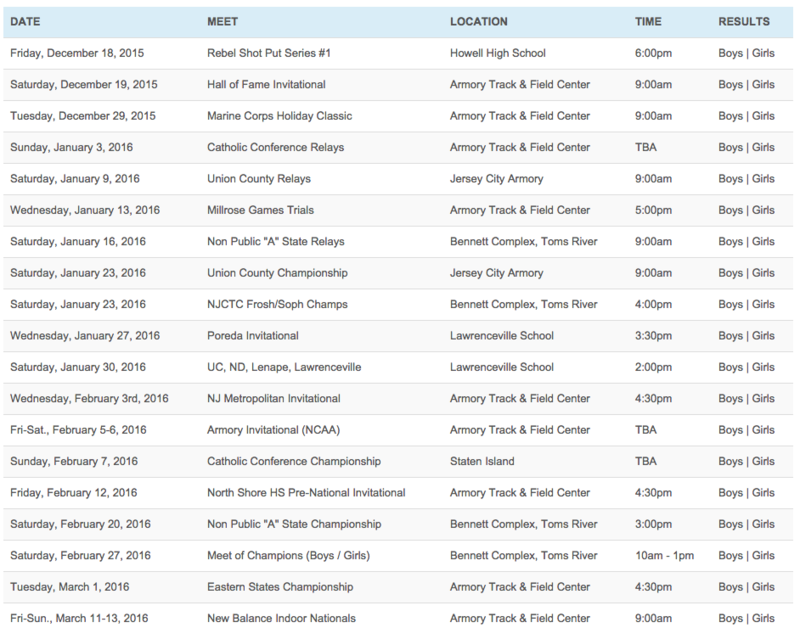 Click Here to View the Meet Schedule Note: No one will compete in every meet. Practice Schedule is available on the home page of this web site. Practices are mandatory. Any issues…please contact Coach McCabe. Next story Leon Bailey Meet a Success! Previous story UC Girls Place 5th at XC Meet of Champions!